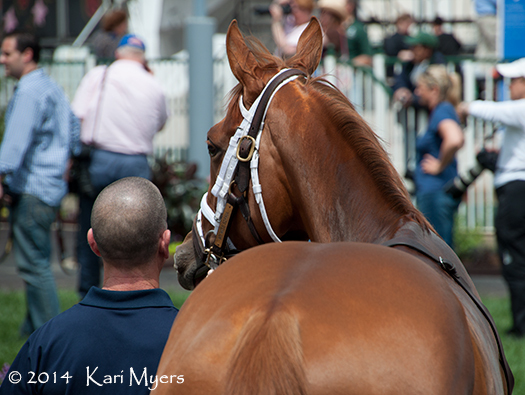 I’ve been having a terrific time hanging out at Churchill Downs this week. 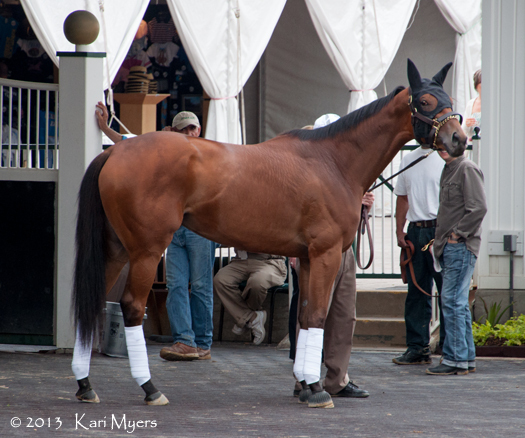 I stuck around for paddock schooling during the races today, so here are some pictures of the Kentucky Derby and Oaks contenders that made the rounds this afternoon. 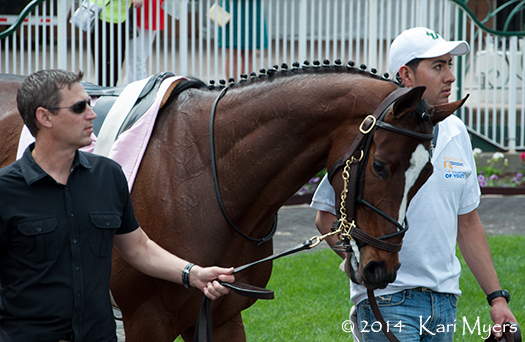 There are a few other horses tacked on to the end that I thought looked pretty good, too. 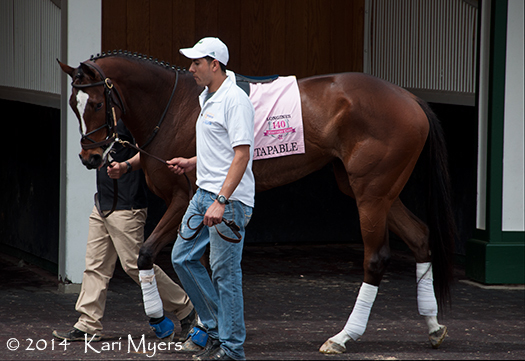 Untapable, the current Kentucky Oaks favorite. 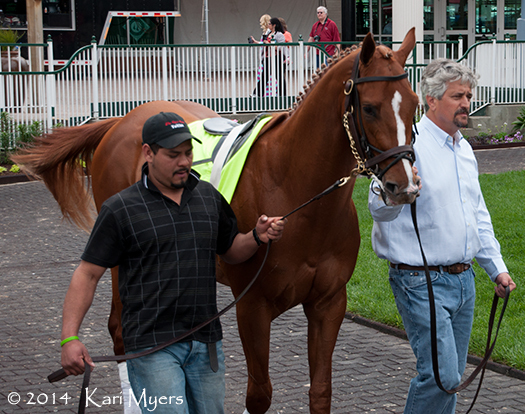 Got Lucky drew post 12 for the Kentucky Oaks today. 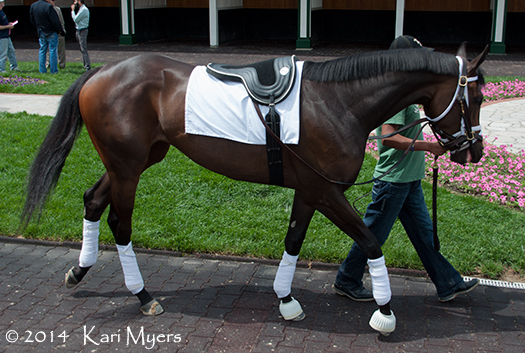 My Miss Sophia drew post 11 for the Kentucky Oaks today. 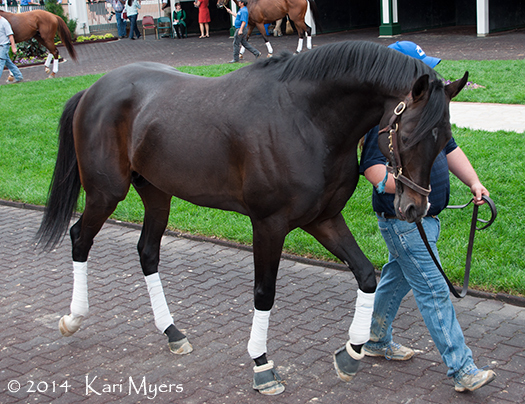 Ria Antonia, last year’s Breeders’ Cup Juvenile Fillies winner, drew post 2 for the Kentucky Oaks today. 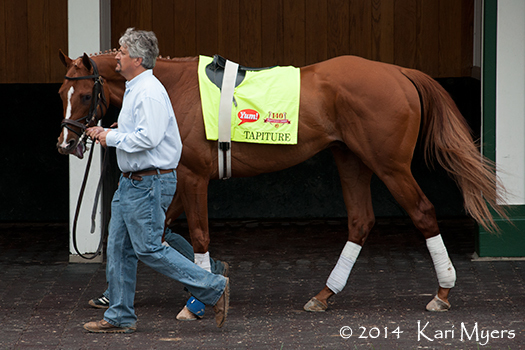 Tapiture, a contender for this weekend’s Kentucky Derby. 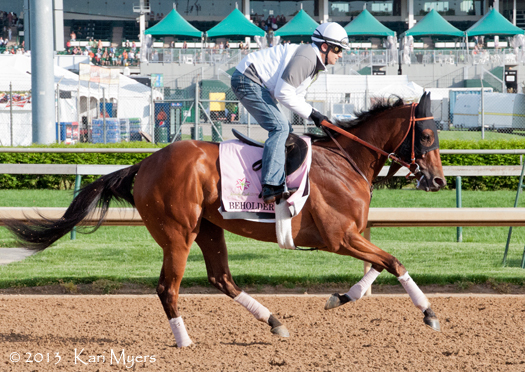 Ride On Curlin, a contender for this weekend’s Kentucky Derby. 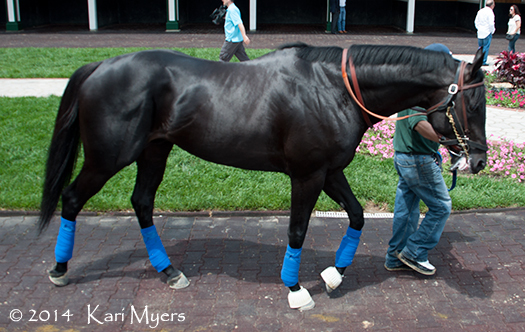 Candy Boy, a contender for this weekend’s Kentucky Derby. 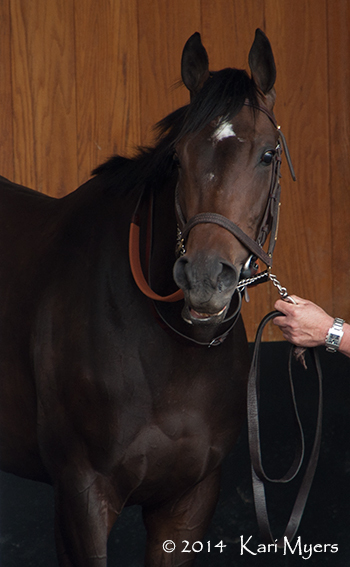 Carving, a multiple stakes winner, is entered to run in an allowance race on Wednesday. 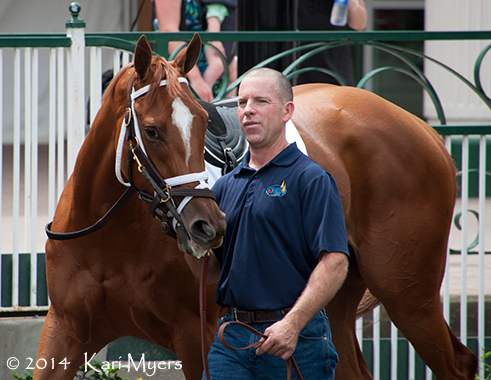 Golden Soul, 2nd in last year’s Kentucky Derby, is entered to run in Friday’s Grade 2 Alysheba Stakes. 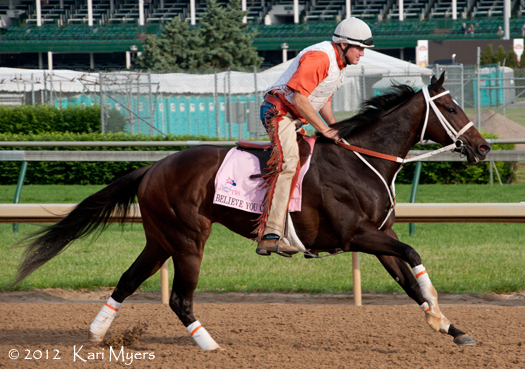 Jojo Warrior is entered to run in Friday’s Grade 3 Eight Belles Stakes. 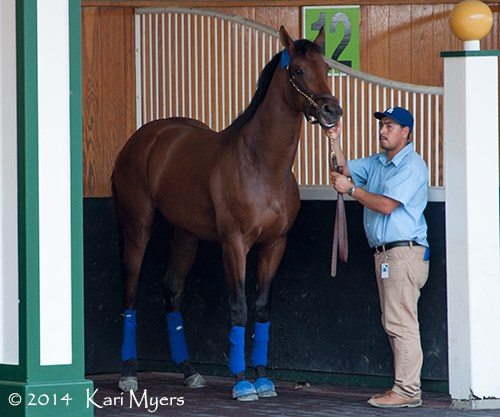 Fiftyshadesofgold is entered in Friday’s Grade 3 Eight Belles Stakes. 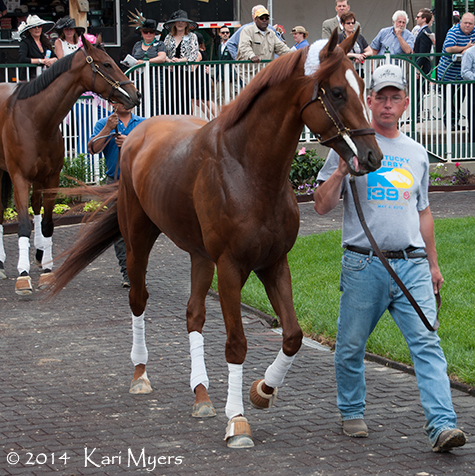 Shakin It Up, a multiple graded stakes winner, schools in the paddock. 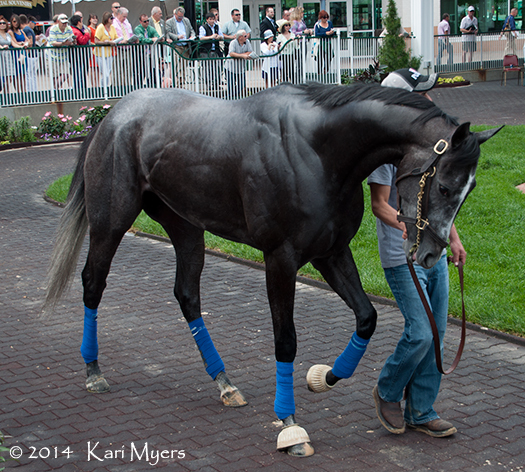 Gauntlet isn’t a stakes horse, in fact he hasn’t even started yet. 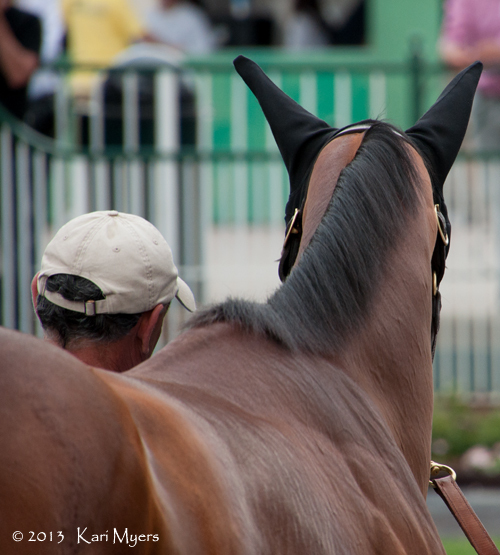 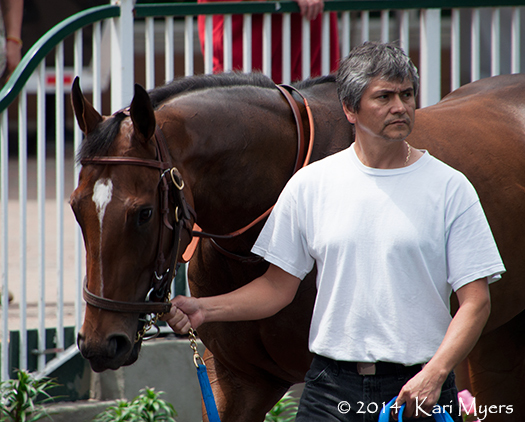 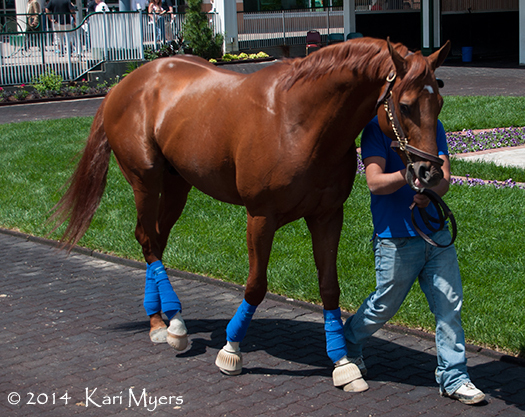 He was just so gorgeous that I was a bit smitten with him in the paddock. 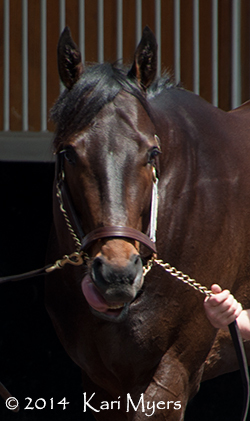 He’s a son of Pulpit and a half-brother to Grade 2 winners Smooth Air and Overdriven.